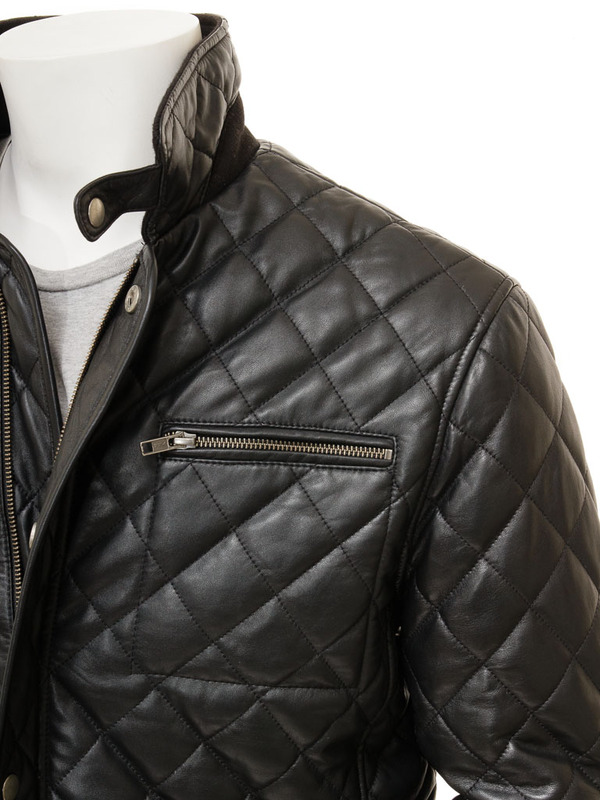 A smart and elegant quilted leather jacket. 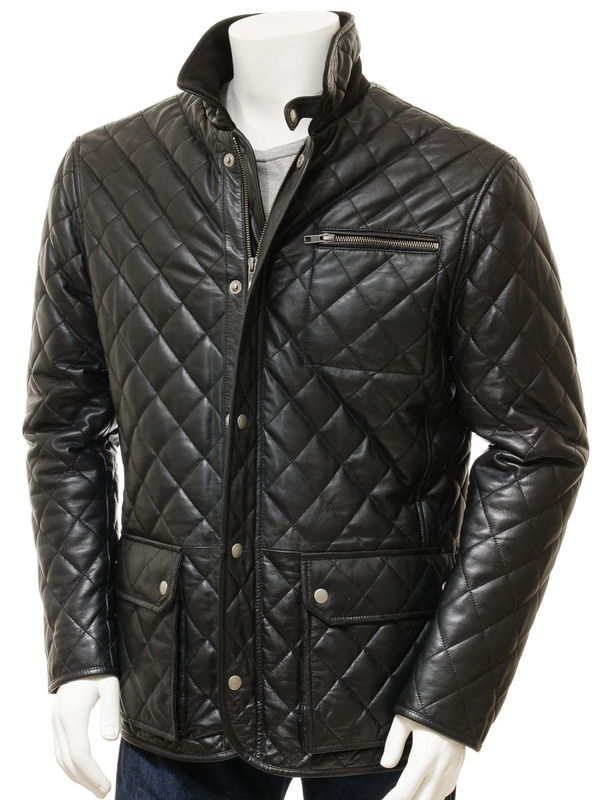 Crafted from a soft and supple sheep nappa hide, this jacket features a YKK zip front with a press stud fastened fly front. The collar is a notched stand which can be stood up and fastened across with a tab strap or laid flat for a blazer look. 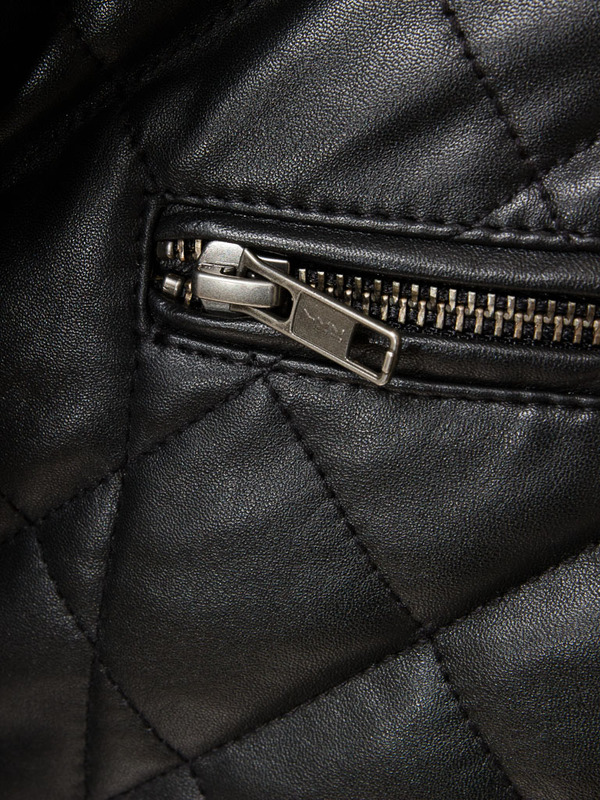 At the chest is a zip pocket plus two flap patch pockets on the hip, each with a separate side entry pocket. 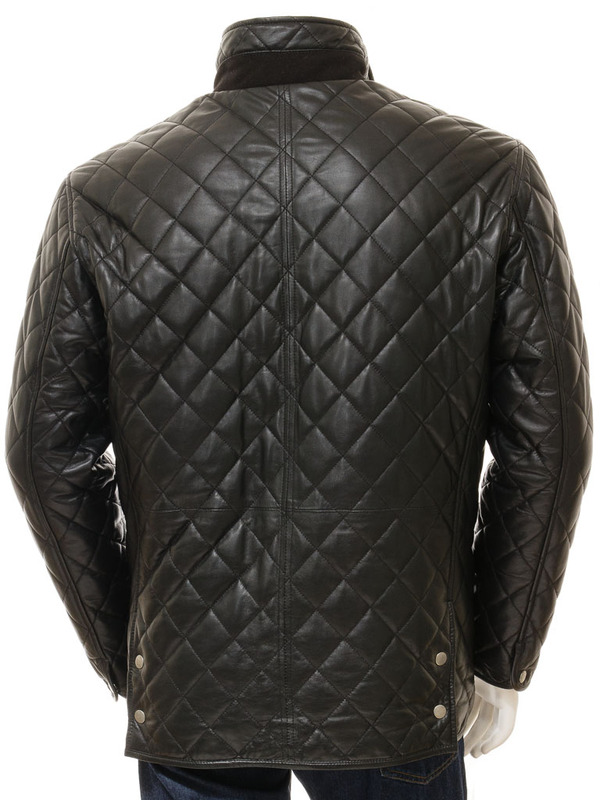 The cuffs have a press stud gauntlet while the the back of the jacket features twin vents which are press stud fastened too. Inside, the jacket is fully lined with a woollen, grey herringbone fabric on the upper half and a quilted satin lining for the lower. There are two leather lined interior pockets, one zipped and the other open.